Two nuclear disasters made structural changes in the renewable industry and its associated technologies. 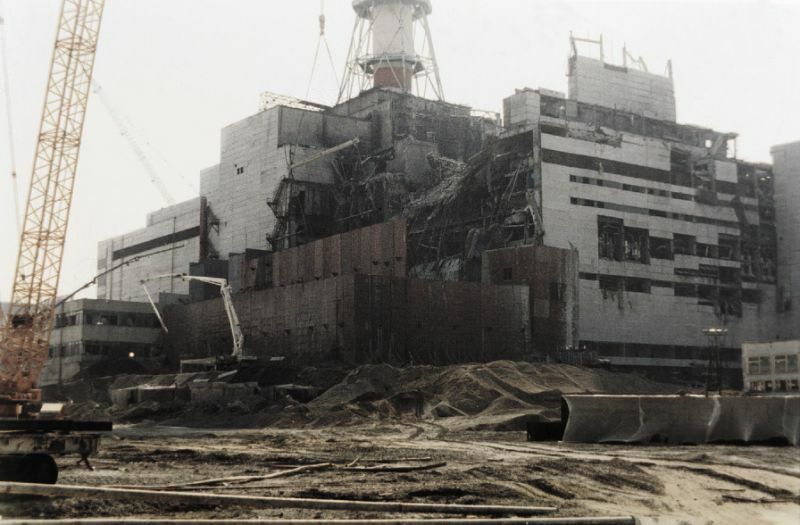 The first disaster was the catastrophic nuclear accident at Chernobyl, Ukraine in 1986. Oil prices were at low levels at that time. While the accident didn’t stimulate investment in renewable or new projects, it did start changing energy policies which helped to create interest in renewables over the long term. The second disaster was the 2011 Fukushima Daiichi nuclear accident in Japan. That took place at a time when oil prices were at record highs. With renewables and their associated technologies already in limited use, the accident resulted in strong enthusiasm for investment in renewables worldwide, including major projects in both developed and developing nations. Renewable energy investments used to be dragged down by falling oil prices. That is no longer the case. In fact, as oil prices tumble, demand only keeps growing. There is a clear recognition that use of the best form of energy and its associated technologies depends on more than just price. Over the past three decades, renewable investments became more resilient to movements in oil prices. Technologies are much more advanced, and rely on plain market forces to find success. Unless they collapse much further, low oil and gas prices are unlikely to delay or kill renewable projects. Nowadays, solar power is competitive, even when oil prices are in the doldrums. In the early 1970s, the US worked actively with the renewable energy industry to promote solar and wind power as alternatives to fossil fuels. Low oil prices in the mid-1980s opened a period of reduced involvement and unstable policies that almost killed renewable investments and discouraged new renewable technologies. However, the 1986 Chernobyl accident paved the way for proactive policies, which for more than two decades turned Europe into the biggest market for renewable energy. The scenario was replicated recently by China, which from 2011 to 2014, amid high oil prices, spent the biggest budget in history on renewable technologies. Low oil prices in the mid-1980s opened a period of reduced involvement and unstable policies that almost killed renewable investments and discouraged new renewable technologies. Boom and bust cycles used to be the hallmarks of the renewable energy industry. In the early 1980s, low oil prices discouraged renewable energy investment in the US. The same thing happened after oil prices slumped from $147 to $37 in 2008, dragging down natural gas prices. On the other hand, record high oil prices from 2011 to 2014 intensified renewable energy projects.Low oil prices in the early 1980s slashed gas prices in locations where oil indexation remained strong and could favor coal-to-gas fuel switching within existing generation fleets. In the US, the shale revolution more than halved gas prices after 2008. When oil prices plummeted in early 2016, which happened coincidentally right after the Paris Climate Agreement took place in late 2015, many analysts assumed that the impact of falling oil prices could end the plans to cut emissions by de-carbonizing the energy sector. However, the impact of falling oil prices on renewable energy investment varied across the world. Despite the IEA’s outlook for renewable power generation to include up to one third of the total global energy mix by 2023, there is still a major role for crude. Oil means energy but turning to renewables doesn’t replace oil. This is because the historic correlation between crude oil prices and the demand for renewable energy has been weakened in today’s global markets. Oil is primarily used for transport fuels, petrochemicals and electricity generation. Renewables are primarily used for electricity generation. Crude oil is a major commodity and a primary raw material for industry. Renewables can’t be either. This creates a fundamental economic difference. Since oil and renewable are not substitutes, when the price of one decreases, demand for the other does not. The International Energy Agency’s 2015 Word Energy Outlook (WEO) drew attention to the rise in renewable energy deployments. The report noted that renewables contributed to almost half of the world’s new power generation capacity in 2014. Renewables have become the second-largest source of electricity after coal. The WEO predicted that renewables, concentrated strongly in the power sector, would become the leading source of new energy supply to 2040, with deployments growing worldwide. At the end of 2014, once that report was issued, crude oil prices started a steep downward movement. This led to concern from the International Energy Agency (IEA) about the deterioration in the value of this essential commodity. The IEA warned that it would be a grave mistake to index world attention to energy security to the price of oil. The interaction between oil prices and renewables appears to be weakening. This is mainly because energy investment is long-term and requires new policies in developing nations. Gas prices seem to be more linked but it can be seen that changes in the spot price of gas do not in themselves derail investment in renewables. As long as renewables keep getting cheaper, there is room for both. US sanctions will limit oil transactions between Venezuela and other countries and are similar to those imposed on Iran last year. Solar and wind are inherently intermittent. Therefore, a backup source of power that can be switched on and off at will — as coal, gas and nuclear can be — is essential for industry. Despite the fact that oil and gas prices are linked in most of the world, cheap gas can complement renewables in a way that cheap oil can’t.